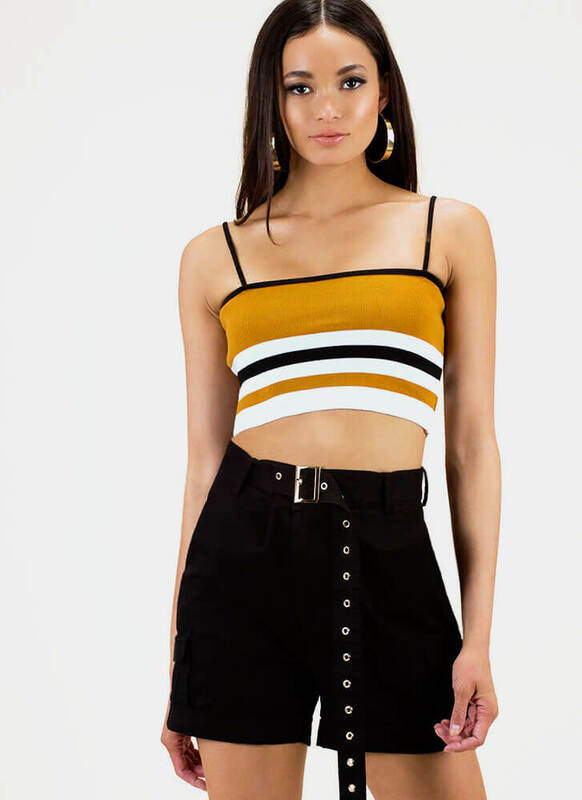 This cute little top should be in line with the rest of your cool-girl wardrobe. 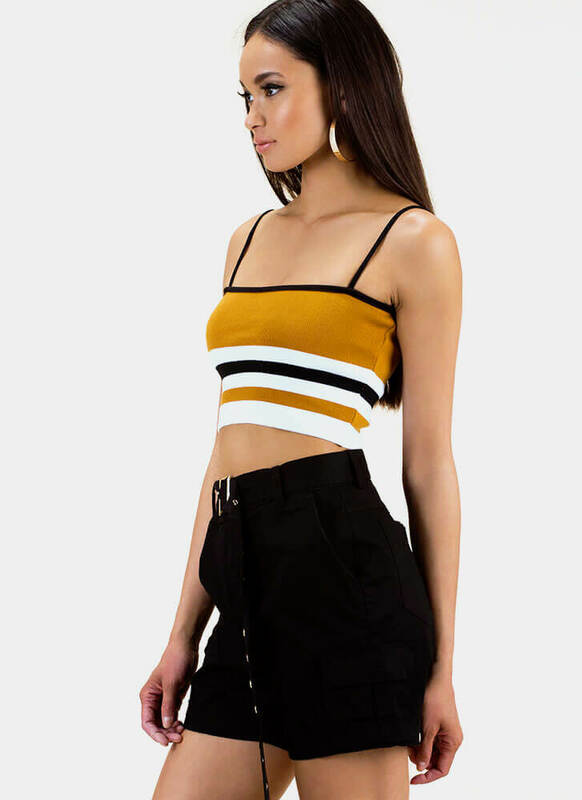 Stretchy, sleeveless, rib knit crop top features non-adjustable spaghetti straps and a tri-color striped print of horizontal lines and panels. No closures are included.